Honolulu Auditor Edwin Young has decided not to audit the city’s Ethics Commission on the advice of an attorney defending the city against a lawsuit brought by its former police chief. The City Council provided $100,000 to Young’s office in 2016 and requested a comprehensive management and performance audit of the commission, which was in disarray at the time. 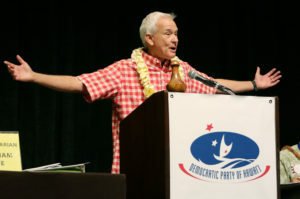 Young gave that money back this year, following legal advice that he should wait until a suit filed by former Police Chief Louis Kealoha and his city prosecutor wife, Katherine Kealoha, against the ethics commission wraps up. The Kealohas sued the city in 2015 in an attempt to stop the ethics commission from looking into their possible abuse of government power. The investigation was driven by Chuck Totto, who was then executive director of the commission. Federal authorities later arrested the couple, who now face a slew of corruption charges. 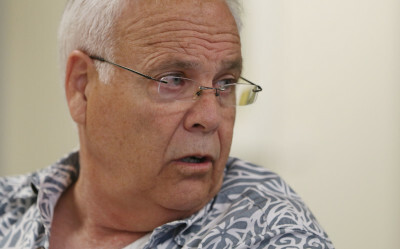 The Honolulu Ethics Commission moved to restrict the powers and actions of then-Executive Director Chuck Totto, leading to his resignation in 2016. Richard Nakamura, an attorney hired to represent the city against the Kealohas’ suit, told Civil Beat he advised Young not to conduct the audit as part of his legal strategy. He declined to elaborate. “We were advised by legal counsel not to do the audit because our work (could) be discoverable,” Young said. As the agency responsible for scrutinizing and often criticizing city operations, the auditor’s office follows ethical standards that require it to function independently of the city, a separation meant to shield the auditor from political pressures. For some, Young’s decision to drop the audit raises questions about his office’s ability to evaluate city agencies without influence. 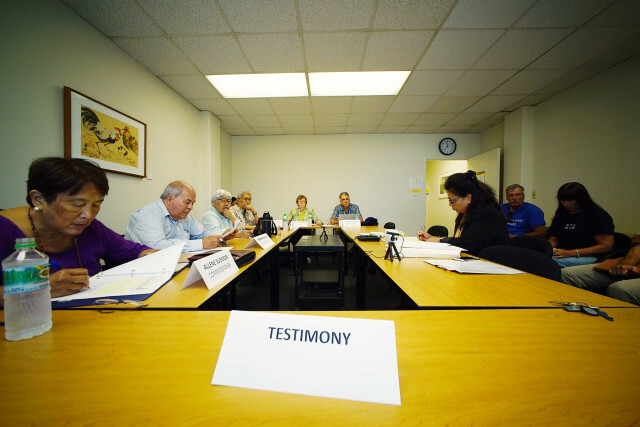 Honolulu Hale infighting had crippled the ethics commission two years ago when the City Council requested the audit through a resolution. The turmoil began with an ethics commission probe of donations solicited for Mayor Kirk Caldwell’s 2013 inauguration party. Tensions escalated in subsequent years over the commission’s budget and complaints that top administration officials were stonewalling investigations. The auditor’s office keeps a list of agencies it plans to audit, but prioritizes audit requests it gets from the council. Young said his decision not to audit the ethics commission is “a matter of prudence and common sense” and does not compromise his independence. It’s not unheard-of for an auditor to pull the plug on an audit over concerns the work might be used in court, said Keenan Konopaski, the legislative auditor for Washington state. Many auditors around the country — including in Honolulu — have protections that keep their work confidential until the audit is complete. 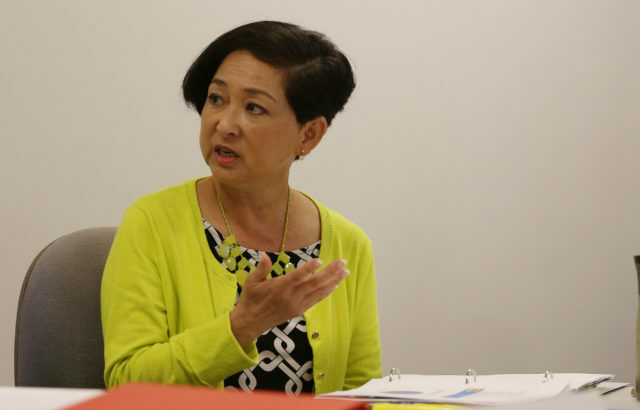 Jan Yamane, who replaced Chuck Totto as the Honolulu Ethics Commission executive director in 2016, said she’s ready to cooperate if the city wants to conduct an audit. Ethics Commission Executive Director Jan Yamane, who replaced Totto in 2016, said she was not aware of the legal advice Young received and that her office is ready to cooperate with Young should his office pursue an audit. “We’re perfectly capable of helping with the audit but I’m awaiting instructions,” she said. The commission’s monthly meeting agendas have included the item “Audit – None” every month since its Feb. 2017 meeting to indicate that the commission was aware of an impending audit. A former state auditor, Yamane said pending litigation sometimes prevents audits because the agency being audited can’t turn over certain documents. But Young isn’t concerned about his ability to access documents. Instead, he’s concerned the information he collects as a part of his audit will be used in court. Back in 2016 when members of the City Council’s legal affairs committee discussed requesting an audit of the ethics commission, Young was in favor of it. Young’s decision not to do the audit raises concern for some. Then-Ethics Commission Executive Director Chuck Totto said he didn’t have the support of the city administration. A restrictive media policy approved by the commission in 2015 effectively muzzled then-director Totto. 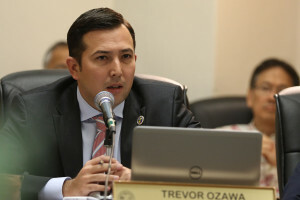 That policy undermined the public’s trust in the commission, Ozawa’s resolution said. The resolution also listed concerns about Totto’s suspension and subsequent resignation after nearly 16 years as its director. Totto said at the time that he quit over concerns he had about the direction the agency was headed. He faced difficulties with the Caldwell administration over issues of staffing and budgeting – something Totto said he had not experienced under previous mayors. Totto declined to comment for this story, citing the pending lawsuit. The resolution for an audit also cited a requirement that Totto and his staff track how they spend their time in tenth-of-an-hour intervals, or every six minutes, as a factor that undermined public trust. The office is still subject to that requirement. Yamane said that while onerous, the meticulous recording is standard practice in law firms and actually helps her office increase efficiency. Ozawa said Wednesday that public pressure to evaluate the commission has eased since Yamane replaced Totto as the ethics commission’s executive director two years ago. He said the commission seems to be functioning properly. Ozawa said he had not heard about the legal advice that halted the audit.